Morgan wouldn’t let us photograph him, but we snuck in his manicured hands. If you’re anyone who’s anyone you know that Morgan Gianni, owner of Fashion Optical, is your go-to guy for eyewear. (Confession: I didn’t actually know this until someone “in-the-know” told me. So now you know, too.) Yes, he carries all the luxe lines: D&G, Tom Ford, etc., but it’s his skill in matching clients to their perfect frames that makes him a star. (It doesn’t hurt that he’s sweet as sugar and impeccably dressed at all times, either.) 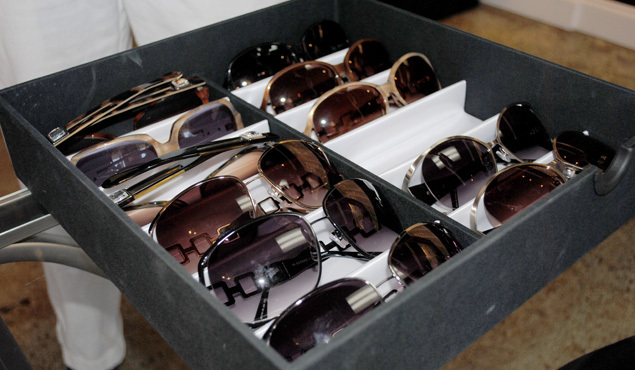 A roster of Dallas celeb-types shop with him (Abi Ferrin, the Simmons gals, and Jan Strimple, for a little name-dropping), and his shades are often used in photo shoots and runway shows. If all that wasn’t enough, he’s now designed his own line of sunglasses which will be launched in the next couple weeks. The line is called M. Gianni. Kristin and I had the privilege of playing dress-up with his new shades yesterday morning, and we’re loving the upcoming accessories. 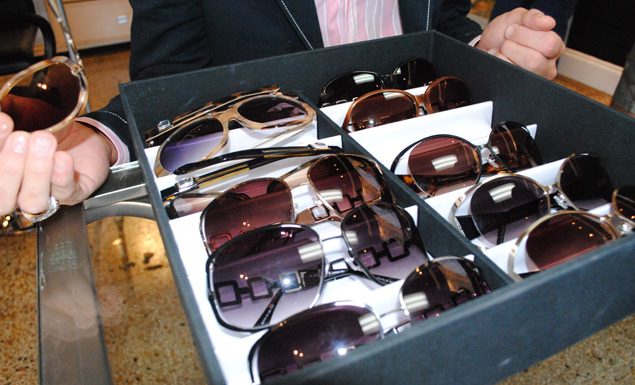 Get your own sneak peek of M. Gianni, and check out photos after the jump. Batch #1. 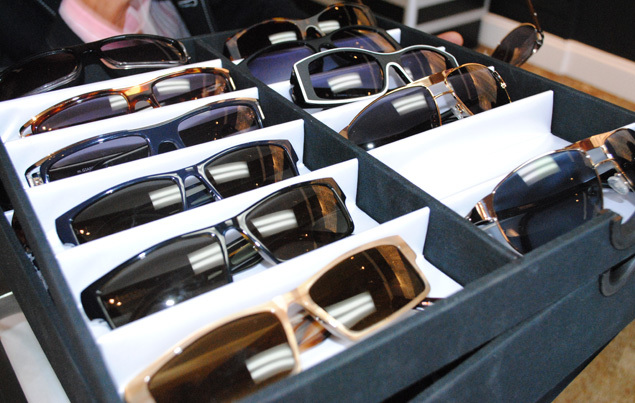 Shades in here include a version in three styles named after Dee Simmons. I’m in love with this round style. These round frames had me at hello. 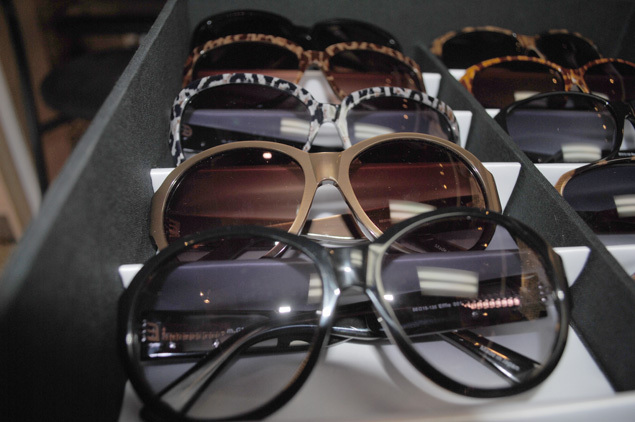 Some of the sunglasses are made to be unisex. If you’re into wearing matching jogging suits while you run at White Rock, pick up a pair of these in leopard print for you and navy for him. But seriously… these are cool for him and her.